In this chapter we will learn how to obtain de Sitter backgrounds in string theory. This is a difficult problem. 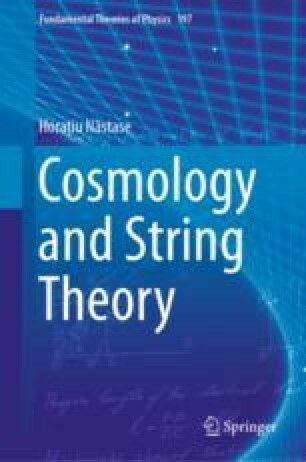 In particular, there was a “no-go theorem” about the non-existence of de Sitter backgrounds in the supergravity approximation of string theory, by Juan Maldacena and Carlos Núñez. Kachru, Kallosh, Linde and Trivedi (KKLT) have shown for the first time that it is in fact possible, with the introduction of some nonperturbative string information.